The French financial conglomerate earned a 13 pct return on tangible equity so far this year. Its wide array of businesses has long weighed on its valuation. But if asset management and retail banking units can keep performing, the shares trading at around book value look cheap. A logo is pictured on a Credit Agricole bank branch in Paris, France, May 16, 2018.
Credit Agricole on Nov. 7 reported a 3.2 percent year-on-year rise in third-quarter net income to 1.1 billion euros on revenue which rose by 5 percent to 4.8 billion euros. Excluding income from disposals and integration costs, net income rose by 17 percent year-on-year. 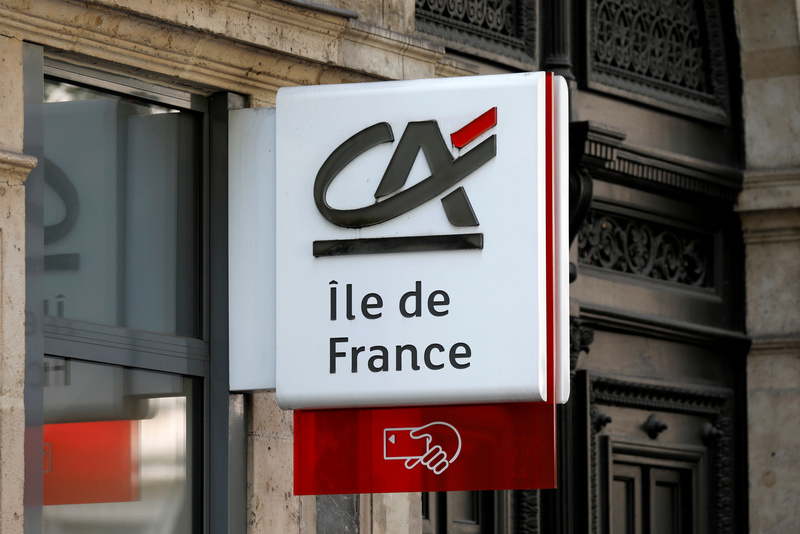 Underlying revenue from French retail banking rose 2.3 percent year-on-year, while revenue from capital markets and investment banking dropped 16 percent compared with the third quarter of 2017. The French bank’s common equity Tier 1 capital ratio increased by 11 basis points over the quarter to 11.5 percent. In the nine months until the end of September the bank’s annualised return on tangible equity was 13.3 percent, up from 12.4 percent during the same period in 2017.
Credit Agricole shares were down by 1.5 percent at 11.34 euros by 1000 GMT on Nov. 7.